It is unacceptable that my federal government spends my tax dollars to kill well over a million native animals each year. I am calling on you as my representative to defund the cruel practices of the U.S. Department of Agriculture's Wildlife Services program. Wildlife Services neither serves wildlife nor American citizens. Wildlife Services is poisonous to our wildlife and public lands and puts our companion animals and children at risk. For decades, Wildlife Services has wantonly ignored the best available science regarding the benefits of native wildlife on our public lands and the ineffectiveness of lethal control to prevent livestock depredation. The program defies fiscal responsibility, public safety and accountability. 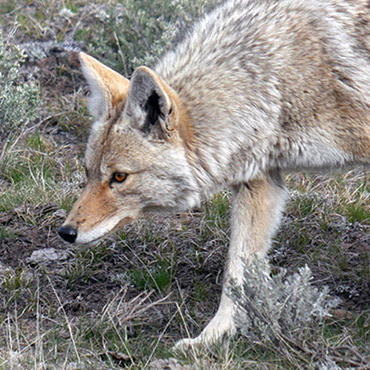 In March 2017, one of Wildlife Services' most egregiously dangerous tools, M-44 cyanide bombs, killed two family dogs in Wyoming and a family dog in Idaho and seriously injured a 14-year-old boy. In June 2017, Wildlife Services killed a lactating mother black bear while her two cubs watched from a nearby tree. Our public lands should be places where people can safely recreate with our families and companion animals and native wildlife can raise theirs. Our taxpayer dollars should provide taxpayer-supported services that benefit the greatest good, not destroy biodiversity and ecosystem health for a few private agricultural interests. I call on you to defund Wildlife Services' outdated, unscientific, ineffective and fiscally irresponsible practices.